Yesterday, Sitecore released a new update for Sitecore 9 – Sitecore 9 Update 2 (rev. 180604) and a number of amazing features are launched along with it. Curious to know what they are? Overall, from the release notes, it seems there are a lot of Marketing Automation Changes with this update and lot of issues are fixed with this release of Sitecore 9. My most favorite highlight or take away from the update is Sitecore Update Center! First and foremost, Sitecore XP 8 Update 7 is merged with Sitecore 9 Update 2 – which means all the new updates of Sitecore 8 Update 7 are now in Sitecore 9 – Wow, I must say Sitecore manages a great way of merging features using Feature Branches, all in all benefiting with the same. 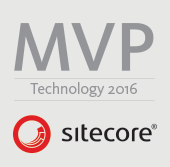 Do you want to know what all features were included in Sitecore 8 Update 7? Check this out. Sitecore Update Center: Did you remember that session from the Sitecore Product Team at Symposium, where they shared some insights on improving the Upgrade process where they mentioned making the upgrades for the Product and modules to be given similar to Windows Updates? Well, its here in the form of Sitecore Update Center. More to come on this in one of the future posts. 211772: xConnect now supports MongoDB storage for the collection database. It is disabled by default. 186565: Solr Cloud is now supported in both Experience Management (XM) and the Experience Platform (XP). Solr Scaling is supported through replicas and shards via the standard Solr Cloud functionality. The new Update Center application has been introduced, the Update Center recommends the updates and hot fixes that should be automatically downloaded and installed based on your current instance of Sitecore XP and the modules that you have installed. Switch Azure Search indexes on rebuild is now supported. For more details, have a look at the complete list of Release Notes for Sitecore 9 Update 2.